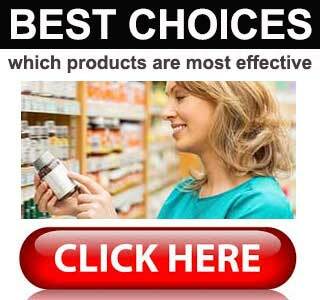 A-Rx Diet is a diet pill marketed via Amazon. The product is distributed under the LivingFit USA brand name, but nothing is known about the company. There is no official website and we were unable to find a Better Fussiness Bureau listing. Many Amazon customers say the product failed them, and a lot of the five-star reviews come across as being fake. We even found one comment left by a customer who claimed he was paid to write his review. 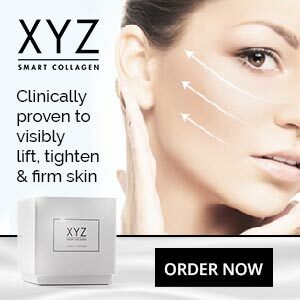 Needless to say, none of this creates a very good first impression, but the pills contain a couple of respected ingredients, so it is possible they may offer some level of benefit as a dietary aid. What Are A-Rx Diet Pills and How Do They Work? The Amazon sales page is big on promises and low on facts, but A-Rx Diet Pills are supposed to curb hunger and burn belly fat so fast that users can lose weight quickly without the need for “excessive dieting or super intense exercise”. Most diet pills are intended to create a situation where the body becomes so short of calories it’s forced to start burning fat to get extra energy. 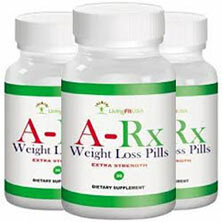 A-Rx Diet Pills appear to be designed to achieve this by helping users to feel satisfied with less food and by providing a faster metabolism that will burn calories more quickly. Serotonin is a chemical produced in the brain. Experts have called it “nature’s own appetite suppressant”, so if the formulation can help boost serotonin levels the pills may be good for assisting weight loss. The formulation’s ability to do this is supposedly provided by garcinia cambogia. However, although the ingredient is respected for its appetite controlling abilities, science has failed to disclose exactly how this is achieved. Garcinia Cambogia: A fruit extract that provides the chemical hydroxycitric acid (HCA). The natural appetite suppressing abilities of HCA have allowed garcinia cambogia to become one of the most respected weight loss ingredients in the world. HCA also has the ability to prevent the body from creating fresh stores of fat. However, experts state garcinia cambogia needs to be 60% HCA or more. If the extract used here does not provide this, results are likely to suffer. Green Coffee Bean Extract: Green coffee beans provide a fat burning chemical, called chlorogenic acid, that can boost weight loss in a number of ways. 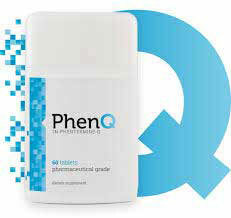 It helps provide appetite control by preventing the blood sugar level fluctuations that may lead to false hunger. Chlorogenic acid also slows the absorption of dietary fats and accelerates the metabolism. The results of a 22-week study conducted by Joe Vinson, PhD (presented during the 243rd National Meeting and Exposition of the American Chemical Society) showed some very promising results. The participants lost 17 pounds in weight and showed an average fat loss of 16%. No usage instructions are provided in the marketing material, but comments left by past customers suggest only one pill is required per day. The marketing material fails to state if side effects may be a possibility, but women who are pregnant or nursing a child should never take supplements of any kind unless they have been recommended by their doctor. The same advice holds true for people who have existing health issues and for anyone who is using medication. A-Rx Diet Pills is exclusive to Amazon.com but, at the time of this review, the product was marked “currently unavailable”. There does not appear to be a manufacturer’s guarantee, but dissatisfied customers should be able to secure a refund via the Amazon Returns Policy. There are a lot of unknowns with this product, but garcinia cambogia and green coffee bean extract can be a powerful fat burning combination if the inclusion rates are high enough and the garcinia cambogia provides sufficient HCA. The fact that some customers say A-Rx Diet Pills work, and others state they do not, could possibly be due to lifestyle choices. Despite what the marketing material says, diet and exercise is bound to improve results. Perhaps the people who had good results used the pills alongside diet and exercise, and the people who had poor results used the pills as an alternative to diet and exercise. It is certainly food for thought, but the fact that the product was unavailable at the time of our review may suggest it has been discontinued. Even if it has not, Amazon.com may not ship to the UK.